Eucalyptus Globulus is also known as Blue Gum or White Eucalyptus. 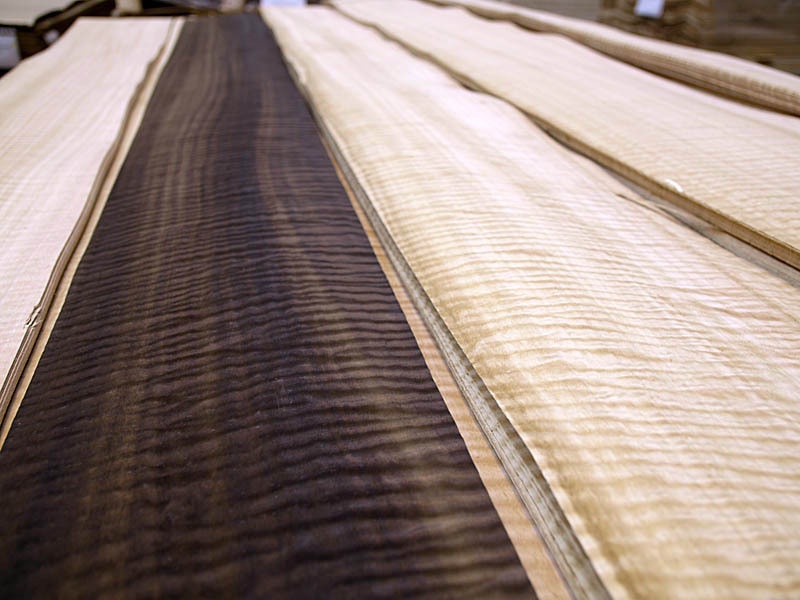 Its veneer presents a coarse and open texture that might vary depending on the cut direction and the tree itself. It is easy to find figured and curly White Eucalyptus as the Frissé. 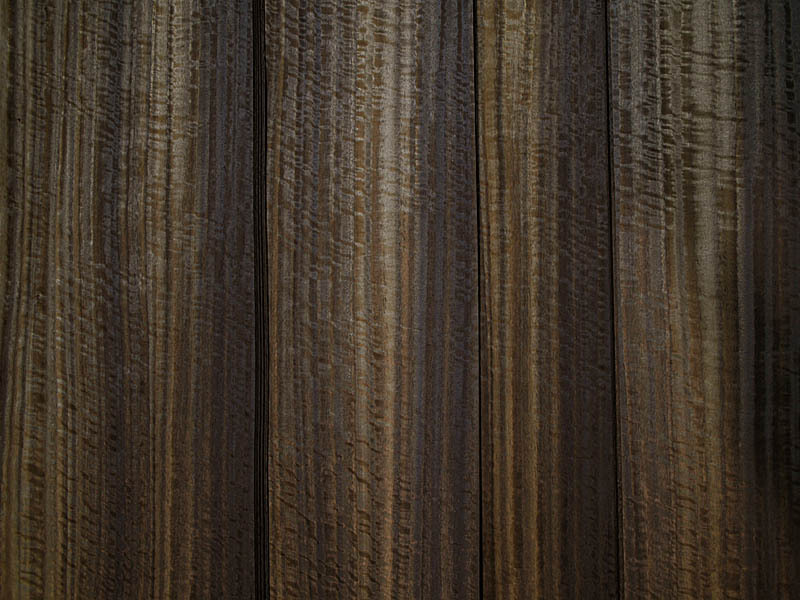 Eucalyptus Quarter Cut Frissé Fumé presents a well stuctured figure and is a clear wood veneer with a sophisticated texture, a colour that has been changed due to the exclusive smoking process developped by CHANNEL VENEERS. The effect of that process called Fumé can be observed in the folowing picture. White Eucalyptus appearance has been compared to noble woods such as Black Cherry and light Mahogany. More precisely, the Eucalyptus Quarter Cut Frissé Fumé veneer remmembers to Quarter Cut Poplar Grisard. The difference between those references is that Eucalyptus veneer is a bit darker and reddish than the Poplar Grisard. There are also some diferences related to the grain structure which is more tight and coarse in the Eucalyptus. 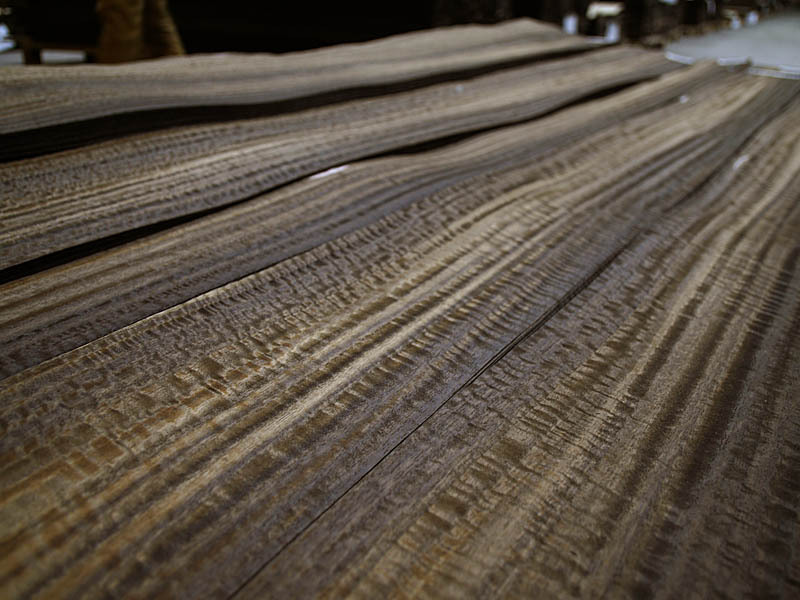 As shown in the pictures above, CHANNEL VENEERS proudly offers the best logs of Eucalyptus Quarter Cut Frissé Fumé. This makes possible to provide homogeneous surfaces produced with bundles of lenghts over 3.10 meters. 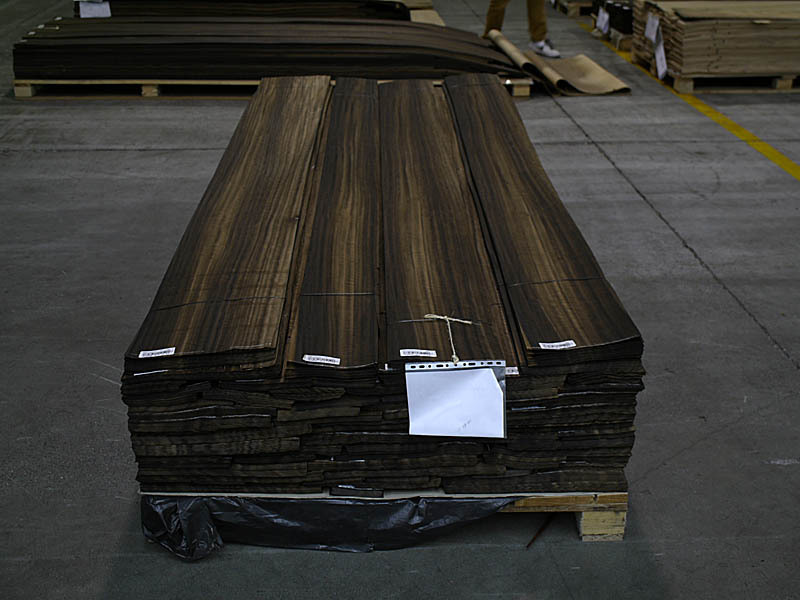 The veneer of Eucalyptus Quarter Cut Frissé is a special product. It is mainly used for the highest decorative purposes. Therefore, the company usually produces on demmand. For further information on Eucalptus veneers and special products such as Frissé, please don’t hesitate to contact directly with the company.